Rewind 12 months and those who were trumpeting Burnley’s Championship promotion aspirations were being mocked, ridiculed and having their sanity questioned. In terms of financial backing and player personnel, the Clarets were towards the back of the queue of those vying to escape the second tier via the skylight. 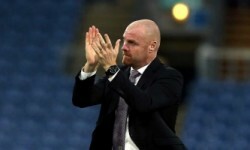 But thanks to some managerial mastery from fire-domed coach Sean Dyche, they achieved the feat and now, in the most unlikely of circumstances, find themselves pitting wits with the biggest, baddest football franchises in the land. 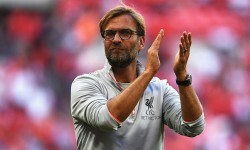 As almost everyone anticipated before the season began, the Premier League is exposing their quality deficiency without mercy and, after seven matches, the Lancastrian outfit find themselves winless and joint-bottom of the table on four points. This predictable, but disappointing start has built a platform for the ‘Dyche out’ dissenters to voice their concerns, with murmurs of dissatisfaction beginning to emanate from Turf Moor. Should Burnley lose to 17/10-rated West Ham next, the decibels of their chorus of disdain will certainly rise and, although his achievements of last season warrant the utmost respect, sacking the ‘Ginger Mourinho’ may well be the Clarets’ only hope of salvation. The first point the bin Dyche brigade would make is that he has no Premier League experience. When seasoned top-flight veterans are manning the rudders of their relegation rivals – either in a playing or coaching capacity – it’ll be difficult for a complete rookie to mastermind a survival bid having not sampled the division at any point in the past. There’ll also be a willingness to emulate the Southampton blueprint from the board. The Saints were ruthless in sacking Nigel Adkins after he slam-dunked successive promotions to the summit of the domestic pyramid. With 16 games to play in the 2012/13 campaign the St Mary’s side were three points clear of danger and looked a far cry from a team circling the drain, yet they dispensed with their overachieving gaffer all the same, replacing him with left-field Argentine Mauricio Pochettino. A Premier League novice he may have been, but his tactical innovations allowed Southampton to drop anchor in the top-flight and the club are now very much part of the furniture, reaping the financial rewards that comes with this. Clearly Dyche doesn’t have the same strategic nous as the current Tottenham boss, nor does he have a tried and tested method for foraging points at the highest level, which is why Burnley must make a change in the dugout if they wish to beat the drop. As it stands, he’s a 22/1 shot to be the next Premier League manager to vacate his post.